Tianjin LangHu Technology Co. Ltd was established in 1999 and now covers an area of 38 acres, which near to Beijing, the capital of China and 50 Kilometers away from Tianjin port. With the concept of science and technology, innovation and development, our company has always engaged in both research and production, aiming to be one of the most professional chemical enterprises. 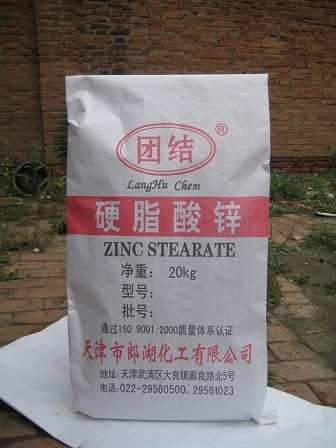 We specialize in production of non-toxic additives for rubber, paint, mainly stearates, including zinc stearate, calcium stearate, magnesium stearate, aluminium stearate, etc. All products are produced with washing method or the "one-step" process; all are energy saving and pollution-free, ready for different customers’ requirements. We also independently developed compound stabilizers, which are widely used in PVC profiles, pipes, wire & cable, etc. Our production has reached or exceeded national standard, especially been ISO9001:2008 certified. LangHu Technology as production base, Tianjin Yongchangsheng Chem Co. Ltd and Tianjin Langshichem Co., Ltd are the two powerful subsidiary trading companies, contributing to its sales and marketing in China and all over the world. After over 10 years hard working, the above companies have grown into professional chemical suppliers in the field of rubber, plastic, paint, molding, textile, medicine, war industry, etc and got well accepted among customers. We are always ready to serve all of our old and new customers, expecting to grow up and develop together with you and your esteemed company!